Come and Shoot Hoops at Washington Park! 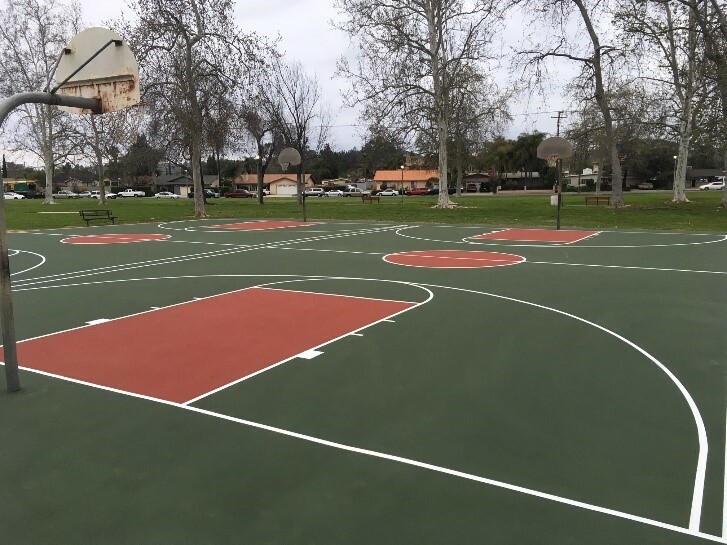 The resurfacing of the basketball courts, the first of many projects to take place at Washington Park is complete. The first stage of the ball field and tennis court renovations have begun with the removal and replacement of fencing, and repairs and improvements to the pool house and recreation buildings are ongoing. All projects are expected to be complete by June 2019. 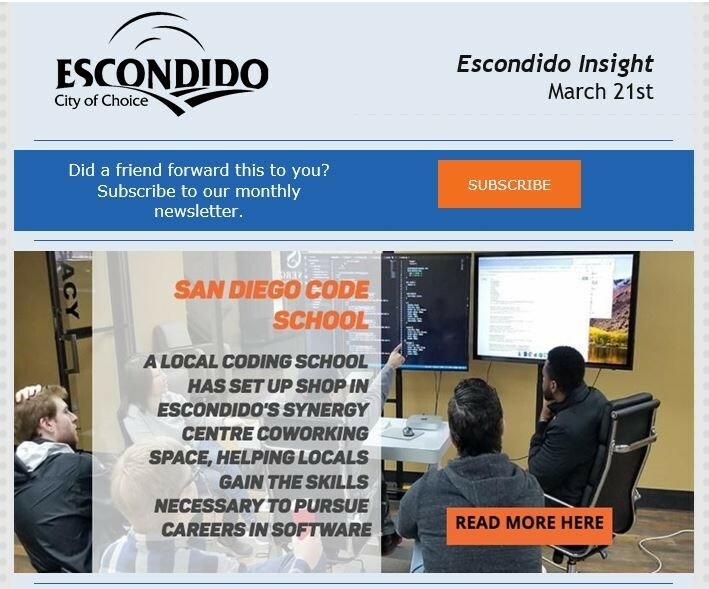 The City's Economic Development department's newsletter has recently been revamped and the newest issue is now available. Subscribe to get updates on local businesses and city news and events. You can opt-in by clicking the image below. Congratulations to EPD's Newest Graduate! 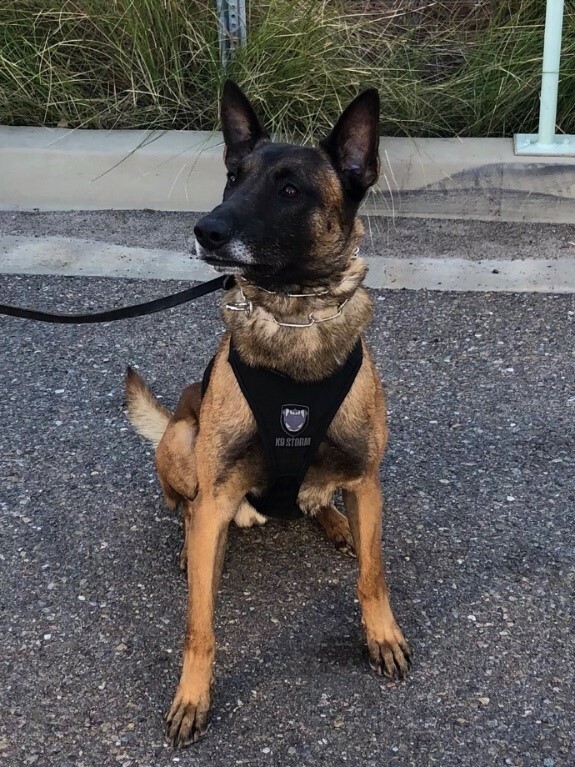 Escondido Police Officer Tom Fidel and 'Doxx' successfully graduated Adlerhorst's 234th Police Service Dog basic course. The City looks forward to the good work I know they will do for our community. *Data reflects activity through March 15 of each year. On March 11, 2019 at 6:30 p.m., officers were in the 900 block of N. Quince St. when they were flagged down by a person who was concerned someone was being attacked in a nearby hotel room. The officers went to the room to conduct a welfare check and contacted a person at the door. The person consented to a search of the room. When the officers checked the room, they located marijuana, cocaine and liquid LSD along with a scale and almost $5,000 in cash. The person was arrested and charged with several cases of possession of a controlled substance. On March 12, 2019 at 1:30 a.m., officers responded to the 500 block of E. Washington Ave. reference a person who stated he was shot in the foot by a bullet that came from a neighboring apartment. Officers arrived on scene and set up a perimeter around the apartment the bullet was reported to have come from. A resident from that apartment came outside and told officers another resident of the apartment tried to shoot her but she was able to move the gun away from her just prior to it going off. The female resident stated the suspect fled the apartment with the gun prior to the arrival of the police. Officers began searching the area for the suspect. A short time later, Officer C. Naranjo located the suspect in the 700 block of N. Escondido Blvd. After a short foot pursuit, the suspect was taken into custody and charged with attempted murder. The suspect was still in possession of the gun. On March 14, 2019 at approximately 1:50 p.m., officers responded to the 2100 block of W. Mission Ave. reference a carjacking. The victim told the officers he was attempting to drive around a vehicle parked at one of the gas pumps but was unable to do so because the passenger door of the vehicle was open. When he exited his truck to ask the person sitting in the passenger seat of the parked car to close the door, the person became violent and shoved the him, knocking off his glasses. When the victim recovered his balance and picked up his glasses, he noticed the suspect had gotten into the driver's seat of his white, Dodge Ram truck and was driving off. During the investigation, dispatch received a call of a rollover traffic accident in the 2200 block of Felicita Rd. involving a white, Dodge Ram truck. Officers arrived on scene and determined the vehicle involved in the accident was the stolen truck from the carjacking. The driver of the stolen truck was taken to Palomar Medical Center for evaluation and charged with driving under the influence and carjacking. On March 14, 2019 at approximately 12:39 a.m., Officer Perkins initiated a traffic stop on a gray, Mazda 6 for a traffic violation. The driver failed to yield to Officer Perkins and attempted to evade him. Officer Perkins pursued the vehicle for a short time but lost sight of the vehicle. A short time later, officers located the vehicle abandoned in the 1400 block of Kingston Dr. Officers searched the vehicle and found cocaine, a scale, packaging commonly used in drug sales and a holster for a Glock 26 handgun. 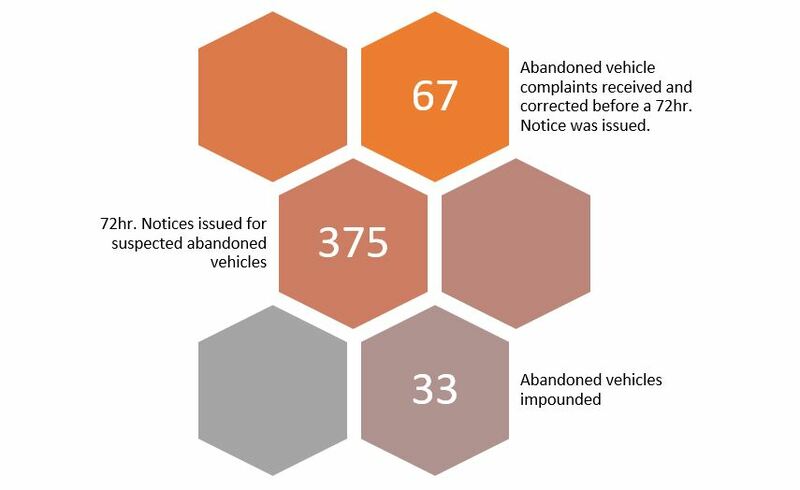 The vehicle was impounded for evidence. The investigation into the registered owner and driver of the vehicle is ongoing. The Fire Department is pleased to welcome Randell Reiner, our newest Paramedic. Randell completed his orientation academy last week and has joined his fellow crew members staffing our ambulances. Randell is assigned to Station 7 on C shift. 1. Escondido Research and Technology Center (ERTC) - West (Developer: James McCann) 2181 Citracado Parkway - A plan for a new two-story, 57,000 SF, 52-bed Palomar Rehabilitation Institute was submitted as a Plot Plan on July 31, 2017. The Plot Plan approval letter was issued on February 7, 2018. The grading permit is ready to be issued once Planning confirms information from the applicant that assures adequate parking is provided. 2. Escondido Research and Technology Center (ERTC) - East (Developer: James McCann) 2130 Citracado Parkway - Building plans for the first 71,656 SF medical office building in this approved medical complex area across from Palomar Hospital were submitted into plan check on October 9, 2018. Fire and Esgil have approved the plans. Planning has a hold on the permit until the parking issues below are resolved. A Specific Plan Amendment (SPA) will be required to move the temporary parking lot on the medical building site (above) to another location within ERTC. The SPA application was submitted on November 13, 2018, and proposes the construction of a new temporary parking lot at the southern end of the ERTC development on Lots 10-15 and a permanent parking lot on Lot 1. Fire is requesting paving for all driveways in the proposed temporary parking lot. A comment letter regarding parking counts and storm water requirements was sent to the applicant in mid-December. The applicant provided a draft MOU document on January 4, 2019 (intended to be signed by applicant, PPH and City) explaining the phasing and proposed parking improvements. Revised parking lot plans for both the permanent and temporary lots were received on January 8, 2019. Planning met with the applicant on January 30, 2019, to discuss the plans and management of the proposed temporary parking lot. The plot plan and grading exemption for Lot 1 has been scheduled for a Zoning Administrator meeting on March 21, 2019. 3. Toyota of Escondido Certified Used Car Facility (Developer: Stephen Myers, Toyota of Escondido) 990 N. Broadway - A Plot Plan to assemble five commercial lots including a vacant used car business into an automotive sales and service facility for Toyota. The proposal includes the demolition of a vacant residence and a small expansion of an existing service building. The project application was submitted on January 7, 2019. Planning staff conducted staff-level design review on January 31, 2019. Comments from Planning, Engineering, Utilities, Fire and Traffic were sent to the applicant on February 5, 2019. Planning met with the applicant on February 28, 2019, to discuss proposed revisions to the plans. A revised Plot plan was resubmitted March 4, 2019. 1. Escondido Self-Storage Facility (Developer: Brandywine Homes, Inc.) 2319 Cranston Dr. - Updated building plans were resubmitted into plan check on July 24, 2018. Esgil and Fire have approved the plans. Planning provided comments on the building plans on September 19, 2018. The final map was approved by City Council on September 19, 2018, and has recorded. The grading permit has been approved and the final improvement plan mylars have been signed. The building plans have been approved by Esgil and Fire. The Planning approval is still outstanding and awaiting minor plan revisions to be returned by applicant. Planning met with the project architect on January 29, 2019, to go over the requested revisions. 2. Citracado Business Park (Developer: Dentt Properties) 2207 Harmony Grove Road - A proposed specific plan for two industrial warehouse/office buildings (145,930 SF and 125,930 SF) with the buildings to be separated by the future extension of Citracado Parkway. The application was submitted on August 14, 2018. All departments have completed their initial review and comments were sent to the applicant on September 17, 2018. SDG&E also has provided comments regarding the high voltage power lines that traverse the site. The applicant's traffic consultant submitted revised methodology and distribution to Engineering on October 19, 2018. A meeting with the applicant to review the various departmental comments occurred on October 29, 2018. Another round of comments related to the proposed specific plan have also been provided. The developer recently indicated a revised submittal including the remaining environmental documents will likely be ready in about a week. 1. Micro-Filtration Reverse Osmosis (Developer: City of Escondido Utilities Department) SE corner Ash/Washington - The City Council approved a contractual agreement with Black and Veatch for engineering services on April 4, 2018. A Request for Qualifications to solicit a Design/Build firm was released the first week of September 2018. On January 16, 2019, the City Council expressed continued support for the MFRO, but directed staff to investigate moving the facility to another location. Utilities staff are investigating the feasibility of moving the MFRO to city property located at 901 W. Washington Avenue. An on-site meeting with the selected design-build and environmental contractors occurred on January 28, 2019. Preliminary geotechnical and survey work is underway. Helix Environmental Planning will be preparing the draft environmental documents. The AB 52 consultation letter will be sent to interested tribes next week. A Design Build Agreement has tentatively been scheduled for City Council consideration on April 3, 2019. The proposed Design Build Agreement with Filanc+BC Joint Venture provides for design and pre-construction services. 2. Lake Wohlford Replacement Dam (Developer: City of Escondido Utilities Department) - A Draft EIR was prepared and issued for a 45-day public review period that began on October 4, 2016 and closed on November 17, 2016. A field visit with staff from the state and federal wildlife agencies took place on May 11, 2017, to review biological mitigation requirements including an agency request for full mitigation for emergent vegetation at the eastern end of the lake that came into existence since the lake level was reduced for safety reasons. Staff sent a follow-up letter to the wildlife agencies on June 29, 2017, seeking clarification on the proposed biological mitigation requirements. Additional information has been compiled and analyzed by the City's biological consultants based on recent conversations with the agencies. The biological consultant and staff met with the wildlife agencies on November 28, 2018 to discuss a modified approach to fulfilling mitigation requirements. Written information summarizing what was discussed at the meeting was transmitted to the agencies on December 4, 2018. City staff recently concluded a revised assessment of potential biological impacts and is coordinating a meeting with the agencies to present the findings. 1. Escondido Assisted Living (Developer: Tigg Mitchell, Mitchell Group) 1802 N. Centre City Parkway - This CUP application for a 71,300 SF three-story, assisted living and memory care facility with 90 total units was submitted on October 31, 2017. The City Council authorized review of a General Plan Amendment request on March 21, 2018, which was necessary to review the request to allow a third floor for the building. A neighborhood meeting to discuss the project with interested residents was held on January 30, 2019. 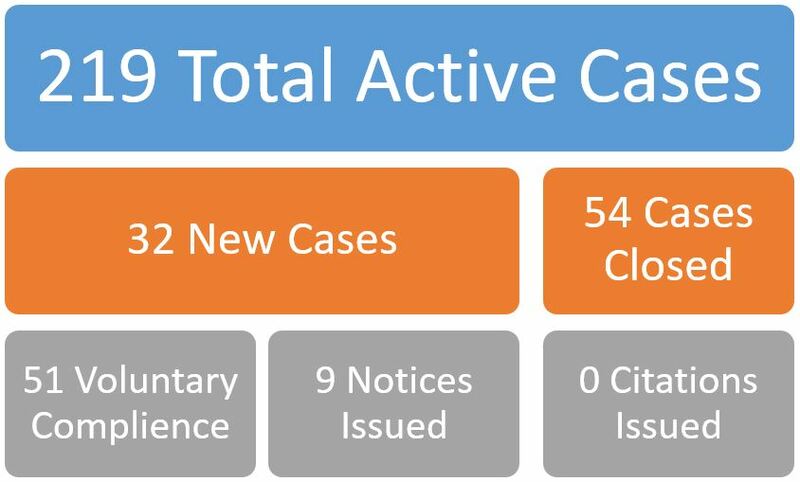 Public review of the draft Mitigated Negative Declaration (MND) closed on February 11, 2019, and no public comments were received. The Planning Commission provided a recommendation on the project on March 12, 2019. A City Council hearing has tentatively been scheduled for April 10, 2019. The responses to comments have generated related revisions to the project design. The applicant's engineer submitted a revised tentative map on October 26, 2018. Generally, the amount of grading and the area of disturbance has decreased, while the overall number of 550 residential lots has remained the same. Engineering met with the project engineer and applicant on January 31, 2019, to discuss their comments on the revised tentative map. The revised tentative map and exhibits have been posted on-line at the link above. The applicant met with Traffic Engineering during the week of February 25th to discuss off-site mitigation. The applicant also met with staff and the biological consultant on March 11, 2019. 2. 18 lots at 701 San Pasqual Valley Rd (Developer: Bob Stewart) - Staff comments on the revised tentative map were issued the last week of July 2017. 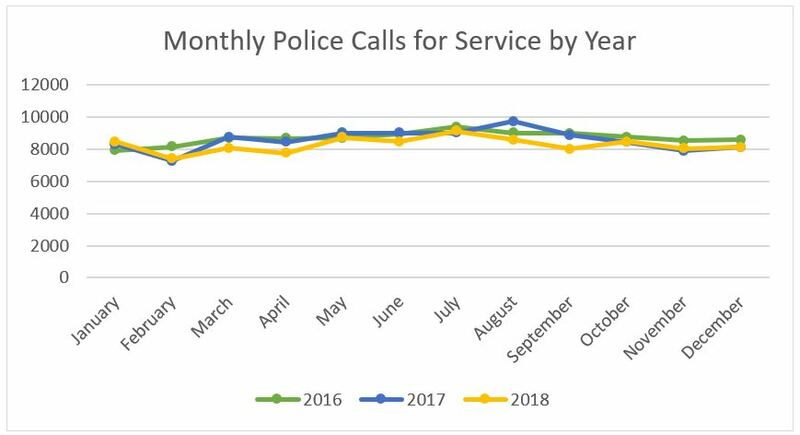 The applicant has occasionally engaged in discussions with various departments since that time, but has declined a staff offer to schedule a comprehensive meeting with all city departments. Another set of revised plans were submitted the week of November 26, 2018. Planning, Engineering and Utilities comments on the revised plans were issued on February 25, 2019. 3. The Villages at Escondido Country Club (Developer: Jason Han, New Urban West, Inc.) 380 residences - The City Council voted 3-2 to approve the project on November 15, 2017. The applicant submitted rough grading plans, drainage improvement plans and utility relocation plans for all three villages on May 7, 2018. There have been three rounds of plan checks on the rough grading plans since the original submittal and a permit-ready letter for rough grading was issued on August 31, 2018 and revised on September 4, 2018. Landscape plans were submitted on June 5, 2018, and a second submittal was received on October 2, 2018. The applicant submitted the final map and other improvement plans on July 9, 2018. Additional comments on the improvement plans, utility location plans, storm drain plans and all technical studies were provided by Engineering on September 11, 2018. Country Club Lane street improvement plans were submitted for first plan check on October 9, 2018, and Engineering comments were provided on November 21, 2018. A tree removal permit to remove trees on the former golf course property was issued by Planning on December 19, 2018. Fourth plan check for the Village 1 rough grading, improvement plans and landscape plans were submitted January 18, 2019, and Engineering comments are expected to be issued this week. Third plan check for final map and improvement plans for Village 3 submitted. Engineering comments were returned on March 12, 2019. 5. North Avenue Estates (Developer: Casey Johnson) 34 lots at North Ave./Conway Dr. -The City Council approved the project on January 10, 2018. LAFCO approved the annexation application on October 1, 2018, and the annexation has recorded. The new homebuilder, Taylor Morrison Homes submitted a Precise Development Plan to Planning on December 14, 2018. Grading plans, final map and improvement plans were submitted for review on December 7, 2018. Engineering comments were returned on January 18, 2019 and additional comments were sent on January 25, 2019. Engineering met with the applicant's engineer on January 31, 2019 to discuss drainage issues. The Certified Tentative Map was submitted for substantial conformance review on February 7, 2019. Planning and Engineering comments on the Certified TM were issued on February 25, 2019. A revised Certified TM was submitted on February 27, 2019. A revised Precise Development Plan was submitted on March 14, 2019. 6. Aspire (106 condo units on Municipal Lot 1) (Developer: Addison Garza, Touchstone Communities) - The proposal consists of a six-story mixed-use development across from City Hall on Parking Lot 1. The project was initially submitted for entitlement processing on June 23, 2017. Subsequent meetings with the applicant and staff have been on-going, and the most recent resubmittal of the project plans was received on May 10, 2018. Fire is awaiting confirmation that Maple Street will support the weight of their apparatus. A Traffic Impact Analysis has been provided and Planning is awaiting submittal of the rest of the environmental documentation for review. A meeting with the applicant occurred on September 12, 2018, to discuss remaining project issues. A purchase and sale agreement for the project site (Parking Lot 1) was approved by the City Council on September 19, 2018. Concerns regarding parking have been expressed; and the applicant's parking consultant submitted a parking study on January 17, 2019. 7. The Ivy (95 condo units at 343 E. 2nd) (Developer: Addison Garza, Touchstone Communities) - The condo project was initially submitted for entitlement processing for a 95-unit development on June 23, 2017. On February 8, 2019, the applicant submitted a revised project under state and city density bonus law that increases the number of dwelling units in return for the provision of 11 Very Low Income housing units. The increased density (now 127 units) was accommodated by adding another story to the development resulting in a five-story residential building up to 63 feet in height. While the building footprint is nearly identical to the previous design, the proposal also adds 1,175 square feet of commercial space on the ground floor at the corner of Second Avenue/Ivy Street. Utilities and Fire comments on the revised development plan were issued on March 12, 2019. 8. Grand Avenue Apartments (Developer: Norm LaCaze, Escondido Venture 99, LLC) 15 apt. units at 1316 E. Grand Ave . - A planned development application proposing 15 multi-family units in one three-story building on a vacant 0.51-acre lot was submitted for entitlement processing on September 22, 2017. The Planning Commission voted 6-0 to recommend approval of the project on February 12, 2019. The City Council approved the project on March 20, 2019, with a vote 5-0. 9. Quince Street Senior Housing (Developer: Matt Jumper, 220 Quince, L.P.) 145 apartment units at 220 N. Quince St. - The five-story affordable senior housing apartment project was submitted on November 21, 2017. Multiple meetings with the applicant have taken place since the project submittal to discuss project design issues. A constraints map to identify fire access routes and locations of existing utilities has been approved by staff and the applicant utilized that map to submit a revised project on November 21, 2018. Staff comments from Planning, Engineering, Utilities and Fire were returned to the applicant on December 27, 2018. A follow-up meeting with Planning occurred on January 15, 2019, and revised project plans were submitted on February 12, 2019. 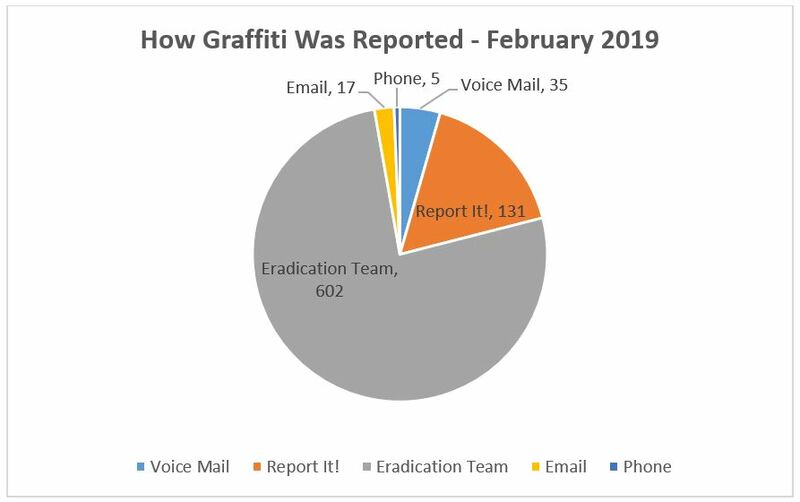 City staff provided comments on March 21, 2019. 10. Sager Ranch/Daley Ranch Resort Specific Plan (Developer: J. Whalen Associates, Inc., Sager Ranch Partners) 203 housing units and 225-room resort hotel on 1,783-acres, just north and east of Daley Ranch - This proposed residential and resort hotel annexation and specific plan project was received on March 2, 2018. The project submittal has been deemed incomplete and a letter from staff requesting additional project related information was sent to the applicant on April 4, 2018. Requested information includes annexation exhibits, proposed general plan amendment text, a proposed Transfer of Development Rights Program, environmental initial study, and a fiscal impact analysis. Planning met with the applicant on May 17, 2018 to discuss items listed in the letter. A follow-up meeting to discuss engineering issues occurred on June 27, 2018. 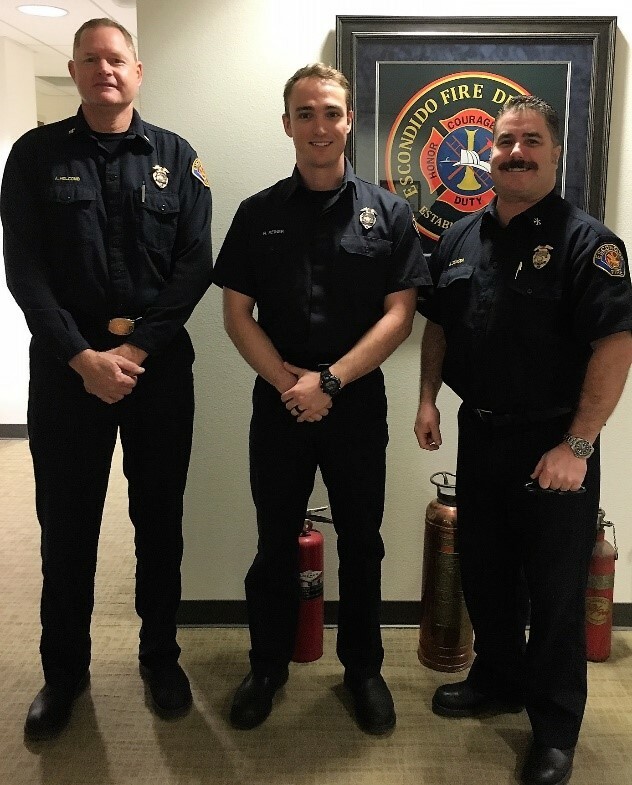 The applicant met with Escondido Fire and Valley Center Fire on August 1, 2018 to discuss fire protection issues. 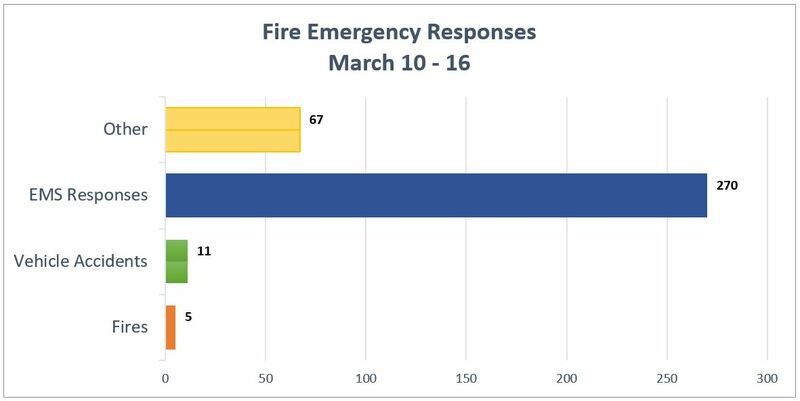 Significant fire-related issues to be addressed include the steepness of the project entry road, secondary emergency access and Fire Department response times. A follow-up meeting with the applicant to discuss these issues occurred on October 11, 2018. 11. Nutmeg Condo General Plan Amendment (Developer: Jim Simmons, CCI) 137 townhome condo units on 7.7 acres on both sides of Nutmeg between I-15 and Centre City Parkway - This proposed multi-family residential development includes a GPA from Office to Urban III (up to 18 du/acre) as well as a specific alignment plan for Nutmeg and a vacation of approximately one acre of public right-of-way for use in the project. The project application was received on June 15, 2018. Initial comments from Planning, Fire, Engineering, Utilities and Traffic Engineering were provided to the applicant on July 13, 2018. A Notice of Preparation for the project EIR was sent out on August 29, 2018, and the comment period closed on October 1, 2018. A Scoping Meeting occurred on September 6, 2018. The applicant submitted revised plans and studies on October 16, 2018. Engineering, Utilities and Fire provided comments on the revised plans on November 13, 2018. Follow-up meetings with the applicant occurred on November 28, 2018 and February 6, 2019. 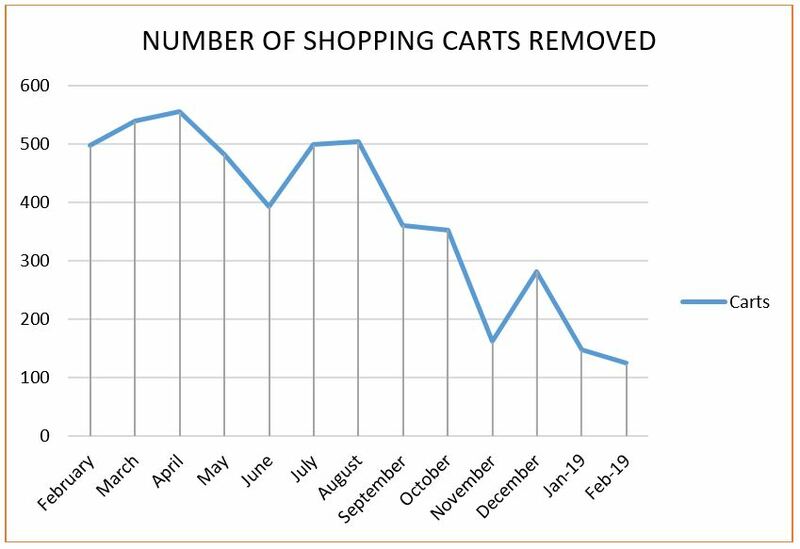 Traffic Engineering provided comments on the Traffic Impact Analysis on December 10, 2019. Staff comments on the first screen check draft of the EIR were issued on January 14, 2019. The applicant team met with Engineering and resubmitted revised plans and the second screen check draft of the EIR on February 6, 2019. Partial comments on the second screen check EIR were issued on March 11, 2019, with the remaining comments delivered on March 18, 2019. 12. Oak Creek (Builder: KB Homes) 65 single-family residential lots on approximately 44 acres at Felicita Road and Hamilton Lane - The original developer, New Urban West, has secured permits from CDFW, ACOE and RWQCB. The Zoning Administrator approved a modification to the Precise Development Plan to revise the architecture on October 25, 2018. Grading, drainage and storm water management plans were submitted for first plan check on July 25, 2018. Fire and Engineering issued comments on the rough grading plan on September 4, 2018. Second plan check submittals for rough grading and off-site improvements were received on October 23, 2018. Fence and wall plans were submitted the second week of December. The model homes were submitted into plan check the last week of October and still require a Precise Grading Plan to be submitted. Second plan check submittal for the final map and third submittal for the on-site improvements is expected to be received this week. On-site remediation of hazardous materials has been completed in three of the four identified areas and a clearance letter from DTSC will be required prior to issuance of a grading permit. Planning has approved the entry guardhouse and project identification signs. Third plan check of final map submitted March 1, 2019. Planning is coordinating with the developer on vegetation removal. A fifth plan check of the rough grading plan (in PDF form) has been received and Engineering comments were issued on March 11, 2019. The bond and fee letter was issued a month ago. 13. Mercado 3-Story Mixed Use Building (Developer: Curtis Lively) 5 residences and 2 commercial suites on 0.14-acre at 510 W. 2 nd Avenue - A Plot Plan for five two-story residential units on top of 2,375 SF of commercial floor area and a parking garage was submitted July 13, 2018. Staff review comments were provided to the applicant who then submitted revised plans. Additional Planning and Engineering comments were sent to the applicant on September 27, 2018, and a revised project submittal was received on December 11, 2018. Comments from Fire, Utilities and Planning on the revised plans were sent to the applicant on January 2, 2019. 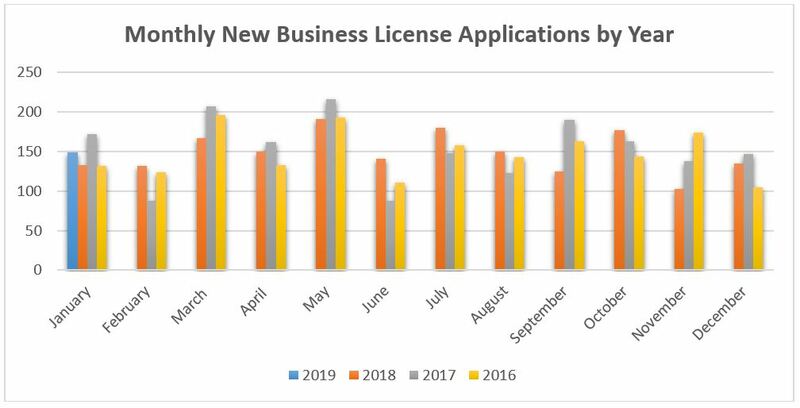 The applicant submitted revised plans including a reduction of commercial space to 1,750 square feet on February 20, 2019. Utilities has provided comments. Planning staff completed design review on March 21, 2019, with no major recommended changes. 14. 555 West Grand Mixed-Use Building (Developer: Ed McCoy) 32 condo units in three floors over a parking garage - This 32-unit mixed-use development with 610 SF of office/flex space was submitted as a planned development application on August 27, 2018. The project is seeking a reduction in parking and open space standards. 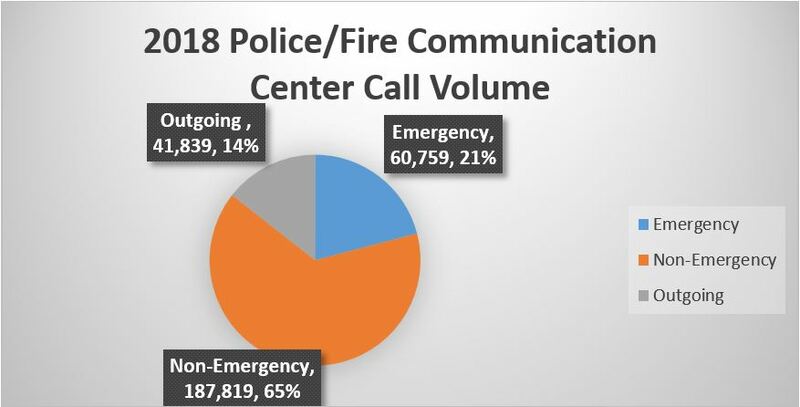 Initial multi-department comments were sent to the applicant on September 26, 2018. The applicant met with Fire, Engineering, Planning and Utilities staff on October 16, 2018 to discuss the staff comments. Engineering has agreed to accept a public utilities easement along Quince Street in lieu of a dedication of public right-of-way. This easement along with a revision to provide vehicular access from Second Avenue has been incorporated into revised project plans and was submitted with an updated Traffic Impact Analysis on March 13, 2019. 15. Villa Portofino (Developer: Chris Post, ATC Design Group) 15 apartment units in a three-story building with parking garage at 2690 S. Escondido Blvd. - This 15-unit multi-family residential project on a 0.52-acre parcel between S. Escondido Blvd and Cranston Drive was submitted as a Plot Plan application on November 28, 2018. A comment letter was issued on December 20, 2018. Comments included the need to evaluate the building construction type for fire purposes and consider the design standards in the South Centre City Specific Plan. Planning staff have had several follow-up conversations with the applicant team and are awaiting revised plans. 16. Palomar Heights (Developer: Ninia Hammond, Integral Communities) Demolition and redevelopment of the old Palomar Hospital site with 424 multi-family units in 33 buildings - A proposed Tentative Map, Planned Development, Specific Plan Amendment and EIR to redevelop the 13.8-acre former hospital site. Up to 5,500 square feet of recreation or commercial space could be included. The project application was submitted on December 24, 2018. The initial plan submittal was presented to the Board of the Downtown Business Association on January 9, 2019, the Economic Development Committee of the Chamber of Commerce on January 10, 2019 and the Old Escondido Neighborhood Group on February 20, 2019. Engineering and Planning comments on the initial project submittal were sent to the applicant on February 12, 2019. A contract for a developer-funded planning consultant to work on this project as an extension of Planning staff was approved by the City Council on February 13, 2019. Planning Engineering and Fire met with the applicant team on February 27, 2019 to go through proposed revisions to the site plan and building designs. Comments from that meeting were provided to applicant team on March 5, 2019. 17. Henry Ranch (Builder: Joe Martin, Trumark Homes) An approved development of 97 single-family residential homes on 74.35 acres at the eastern terminus of Lincoln Avenue - The Tract 920 development proposal was originally approved in 2007 and an extension of the associated Development Agreement was approved in 2016. Trumark Homes acquired the property in 2018 and intends to complete the subdivision. A revised substantial conformance plan for the Certified Tentative Map was submitted January 15, 2019 and approved the last week of January. Final Map, grading plans and improvement plans were submitted for initial review on February 12, 2019, with staff comments expected to be provided by March 25, 2019. A demolition permit for the former packinghouse structures was submitted on February 14, 2019. Planning and Engineering provided comments on the demo permit on February 20, 2019, including the need to lead based paint and asbestos clearance as well as an erosion control plan. Architectural plans were submitted for Design Review on February 15, 2019, and comments were issued on March 14, 2019. 18. Accessory Dwelling Units - Planning staff is currently working on two applications for accessory dwelling units. Four accessory dwelling units have been approved so far this year. 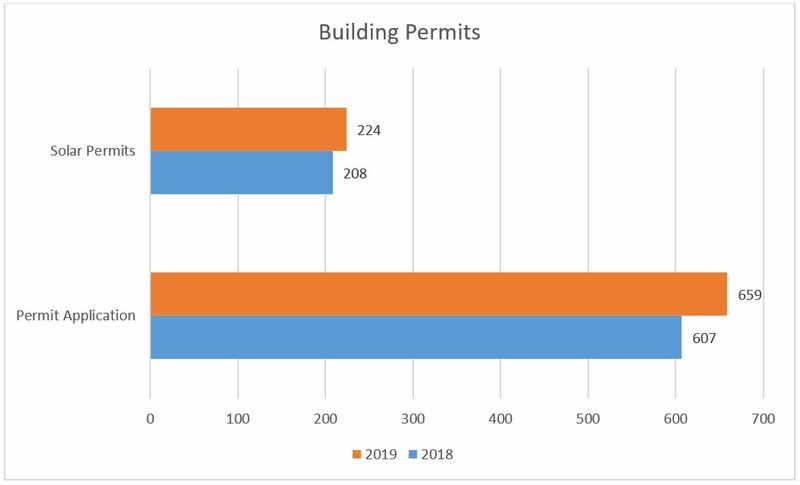 24 accessory dwelling units were approved in 2018. Three accessory dwelling units were approved in 2017. 1. The Building Division issued 59 permits (including 18 solar photovoltaic) with a total valuation of $103,488. 2. Our building inspectors responded to 148 inspection requests. 163 customers visited the Building counter during the week. 3. No change from the previous. The Meadowbrook three-story apartment building with underground garage at 2081 Garden Valley Glen is preparing the building for final inspection. Building approved temporary gas and electric release on January 22, 2019. 4. No change from the previous. The Westminster Seminary at 1725 Bear Valley Pkwy so far has received final inspection approval and Temporary Certificates of Occupancy for all buildings except for Buildings B and H. Final building inspection was conducted for building B on March 4, 2019, and the contractor is working on the corrections. 5. No change from the previous. The Emmanuel Faith Church at 639 E. 17th Ave. received final inspection corrections on November 14, 2018 and they are working on the inspection corrections. 6. The Veterans Village project at 1540 S. Escondido Blvd. received final Fire approval on March 15, 2019. The contractor is working on building inspection corrections for final occupancy. 7. The Latitude 2 apartment project at 650 Center City Pkwy has received rough framing for Building 6 and final building approval for Buildings 2, 3 and 4. 8. No change from the previous. The new two story church sanctuary building at 1864 N. Broadway has received rough framing approval. 9. The Citron multifamily project at 2516 S. Escondido Blvd. has received final Fire approval for Building 9 and gas meter release for Building 10. 10. No change from the previous. The new 105 room hotel at 200 La Terraza is requesting building final inspections which may take several weeks to complete. 11. No change from the previous. The four-story, 102,774 sf storage building at 222 W. Mission Ave. has received inspection approval from Fire for the fire alarm system. 12. The new five-story storage building at 852 Metcalf St. has received inspection approval for the framing of the roof parapets. 14. The new apartments at 917 W. Lincoln Ave has received inspection approval for exterior framing for Buildings B and C. The project has 3 buildings and 9 total units. 2. Valley Parkway/Valley Center Road Widening Project: Calendar Day 409 -. Landscape maintenance walk was performed on Tuesday, this will activate the 90 day maintenance period. Work will resume this week on the water main by-pass located on Valley Parkway, adjacent to the Lake Wohlford Road. 3. Transit Center Pedestrian Bridge Project - Transit Center Pedestrian Bridge and Spruce Street Channel Improvement Project bid opening was held January 24. The preconstruction meeting will be scheduled upon receiving a signed contract. Safety training for City staff working within North County Transit District right-of-way is set for next week. 4. Missing Link Project - Delivery and installation of the traffic signal poles for the Woodward Avenue/Broadway intersection was completed on Thursday last week. One signal mast arm was not included in the shipment which caused the cancellation of the signal activation. The signal contractor is on site this week performing work in preparation of the remaining pole arrival. Shipping of the pedestrian traffic signal poles has been modified to March 15. 5. HSIP Traffic Signal Project - No changes from that reported last week: The project will provide new traffic signals at Valley Parkway/Date Street and El Norte Parkway/Fig Street intersections. The project is funded by the Highway Safety Improvements Projects. The Notice to Proceed has been issued and the traffic signal poles have been ordered. The construction of the surface improvements will begin on May 6. All submittals have been reviewed and approved. 6. Tulip Street Improvements Phase IV - The construction of the project began on Monday March 11th with the clearing of vegetation. The project has 70 working days for completion. 7. Multi Neighborhood Street Light L.E.D. Retrofit Project - No changes from that reported last week: The project will upgrade 644 existing high pressure sodium lights with energy efficient L.E.D. fixtures. The project boundaries are Lincoln Avenue to the north, 13 th Avenue to the south, Ash Street to the east, and Upas Street to the west. The winning bid came in below the engineer's estimate which will allow for the installation of an additional 100 lights. The project preconstruction meeting was held on Thursday, February 21. The new light fixtures have an anticipated delivery date of April 17. The work to install will commence immediately after delivery. 8. Storm Drain Pipe Lining and Rehabilitation Project Phase1 - The project consists of 14 work zones and 3 Bid Alternate locations for the videoing, grouting, repairing, and lining of existing corrugated metal pipes (CMP) within the City's inventory. The project bid opening was January 10, 2019. Four Engineering contractors supplied bids. The apparent low bidder was Sancon Engineering Inc. with a bid of $841,310.00. The Engineers estimate for the project was $746,734.00. The preconstruction meeting was held on Wednesday of this week. 1. Centre City Shopping Center - No changes to from that reported last week: The project has been walked and a punch list has been provided. The traffic signal contractor has completed all punch list items identified. The project is located at 425 West Mission Avenue. 2. Tract 932 - Canyon Grove Shea Homes Community - No changes from that reported last week: Engineering will be finagling additional houses this week. Of the 179 home lots developed since the start of construction on February 11, 2016, only 30 remain unoccupied. 3. Latitude II Condominiums by a Lyon Homes Partnership: Washington Avenue at Centre City Parkway - Work is ongoing for the construction of the storm water basins located along the Centre City Parkway frontage. 4. Tract 934 - No changes from that reported last week: Is a 5 lot subdivision located at 1207 Gamble Street. The construction of the underground utilities is idled this week. 5. Veterans Village - The project has been walked and a punch list has been provided. One building will be released for occupancy this week. 6. KB Homes Oak Creek Project - No changes from that reported last week: The contractor is nearing completion of the remedial grading to remove unsuitable material from within the project. This is work is focused on 4 specific areas. The project is located at the intersection of Hamilton Lane and Miller Avenue. 7. Escondido Self Storage - No changes from that reported last week: The grading of the project is idled. Offsite utility construction has begun along Brotherton Road. The project is located at the southwest corner of Brotherton Road and Cranston Drive. 8. Citron Development - No changes from that reported last week: The contractor is raising to grade the manholes along Cranston Drive, between Las Palmas Avenue and Citracado Parkway. 9. ATT Facility Tank Relocation - No changes from that reported last week. Excavation for the new fuel cell has begun along 2nd Avenue. The existing fuel cell is located in parking Lot 4. This unit will be removed at the completion of the new fuel cell installation. 1. On March 19, 2019, the City applied for HEAP funds to support a Homeless Case Management. On March 20, 2019, the City Council authorized a contract with Interfaith to provide the services; execution of the program is dependent upon receiving HEAP funds. The State of California has recognized the need for funding at the local level to combat homelessness and has provided a $500 million block grant to cities, counties and Continuums of Care (CoCs) to address homelessness through the Homeless Emergency Aid Program (HEAP). Approximately $18.8 million was made available to the Regional Task Force for the Homeless (RTFH), the local CoC. On January 31, 2019, RTFH released a Request for Project Proposals seeking proposals from agencies interested in providing critical services that will support movement toward access to housing for people experiencing homelessness. We have applied for funds ($225,505 for the first year and $215,000 for Year 2) in order to partner with Interfaith Community Services to provide dedicated homeless case management in Escondido. A social worker, hired by Interfaith, will be teamed with the Community Oriented Policing and Problem Solving (COPPS) Unit, specifically for the purpose of case management and assisting in obtaining services for our homeless residents. Interfaith will also be responsible for RTFH data management requirements under the grant. An Interfaith social worker will be uniquely positioned to leverage existing Interfaith programs and relationships to support unsheltered homeless individuals in Escondido.